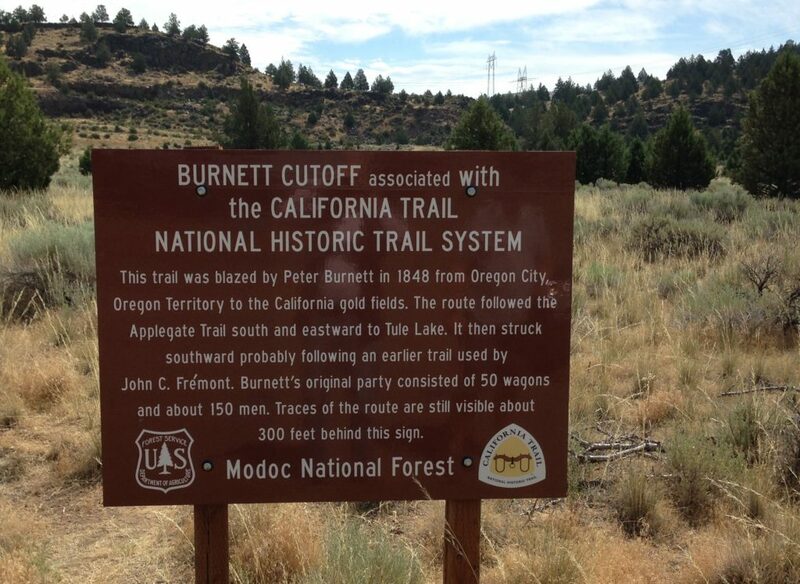 Few people in the nineteenth-century American West could boast the achievements of Peter Burnett. He helped organize the first major wagon train to the Oregon Country. Burnett served on Oregon’s first elected government and was Oregon’s first supreme court judge. After opening a wagon road from Oregon to California, he worked with the young John Sutter to develop the new city of Sacramento. Within a year of arriving in California, voters overwhelmingly elected him as the first U.S. governor. He also won appointment to the California Supreme Court. Among Burnett’s weaknesses was his refusal to take advice from others. He insisted on marching to his own drum, even when it led to some terrible decisions. A former slaveholder, he could never seem to get beyond his single-minded goal of banning blacks and other minorities from the West. 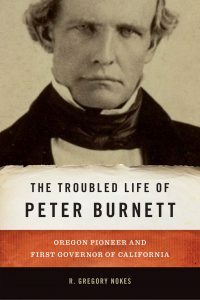 As a member of Oregon’s first government in 1844, Burnett succeeded in winning enactment of a short-lived exclusion law banning African Americans from the territory, and providing a severe lashing for anyone who refused to leave. As governor of California in 1859 and 1851, he twice went to the mat with the State Legislature to try to win enactment of a statewide exclusion law, but was rebuffed both times. In later years, he wrote he had opposed slavery, overlooking that he owned two slaves while in Missouri and may have tried to bring at least one of them to Oregon with him in 1843. The Tennessee-born Burnett had lasting achievements, too. He played a pivotal role in establishing the first American governments in both Oregon and California. Nokes is the author of Breaking Chains: Slavery on Trial in the Oregon Territory, a finalist for the 2014 Oregon Book Award for nonfiction; and Massacred for Gold: The Chinese in Hells Canyon, an Oregonian Pacific Northwest ”Top 10″ book, now in its fourth printing. Published by Oregon State University Press, the book is scheduled for release May 15, 2018.